Last week, I began printing and spiral binding copies of the rough draft of my very first science fiction novel for review. The working title of the book is The Betrayal of Ka. 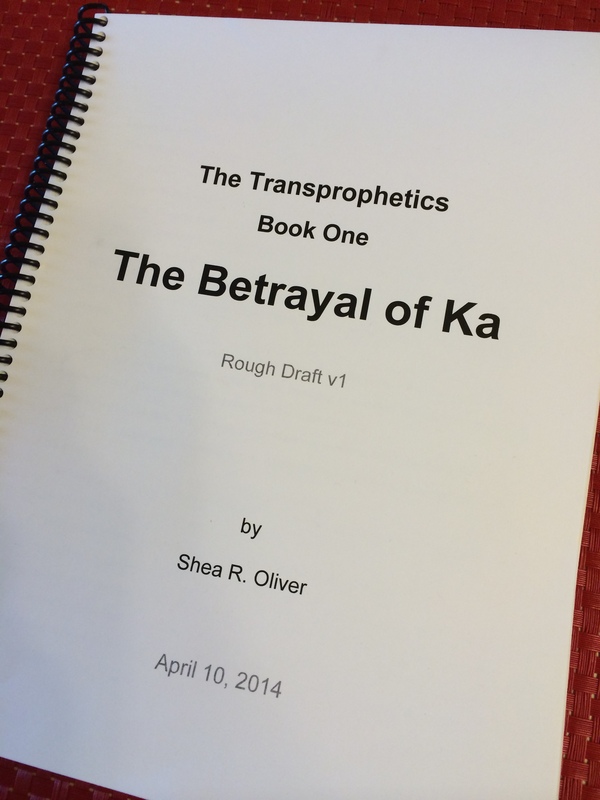 It is the first book that I have planned in a multi-book series, The Transprophetics. It was an absolute blast writing the book. While I have been writing for a living for some time (I write a newsletter in the mortgage industry), it has been a while since I got to do something as totally creative as this. I set a goal of finishing my first cut of the rough draft by the middle of April. I got a little geeky and decided to track my progress by week in Excel. According to some experts, a first science fiction novel should be between 80,000 and 100,000 words. 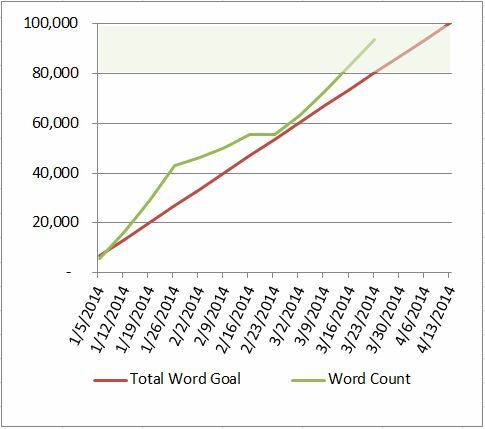 With that as my goal, I kicked off the New Year, planning to write about 6,700 words per week. As you can see from the graph, some weeks I wrote more, some weeks I wrote less. I beat my goal and was able to complete a couple of rounds of self-editing by the middle of April. The day that I typed the last words of my first cut, my best friend, Mike Summers, and I headed into the mountains for a little hike. 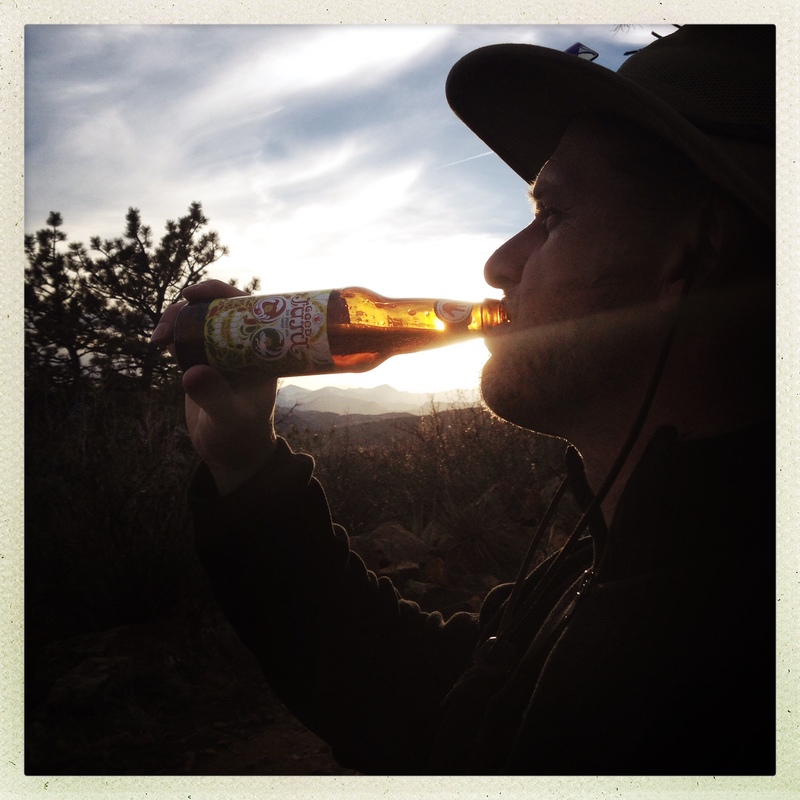 After hiking for many miles, I shared the news with him, and we toasted my accomplishment and future success with a Good Juju from Left Hand Brewery. He caught this awesome picture of me enjoying it! I am really looking forward to getting feedback on the manuscript, making any adjustments that are needed, and moving forward with selling the book. My next big step will be to start the process of finding an agent and publisher. That’s great you got your draft done and bound no less. I find it feels really official when you have that and it changes how I edit. You and me are in the same place. Final edits then agent submissions! It feels like all the fun stuff is behind me lol. And by that I mean actually writing the book. Happy editing and revising! Thanks!!! No doubt that the writing is more fun than the submissions! I really want to start the next book, but the grind right now is focused on getting the first one sold. Good luck!!! Thanks, you too. Well you’ll have plenty of time to write while you sit around waiting….and waiting….and waiting…. to hear back from agents and publishers. Ugh! Nothing like watching those emails show up, and hoping…!!! Yep. so working on the next one could be a good distraction.